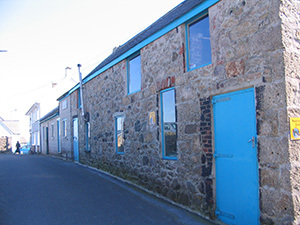 The Island Workshops - or "The Bark House" - are situated in the former industrial area of St Ives between Porthmeor and Porthgwidden beaches. There used to be engineering works and factories here. These are all gone with flats and apartments built in their place. However the Island Workshops are still used for a variety of purposes.